Of course, if your illness is minor and you’d prefer some drug-free relief, you’ve got plenty of natural options—take an ACV shot, bust out some yoga poses—but perhaps one of the most effective (and under-the-radar) fixes is propolis, a resin-like compound produced by bees. You might say propolis is the pocketknife of the wellness world. Not only is it said to have serious immune boosting powers, but it’s also good for your gut and skin. Often called “bee glue”—good to know for when you start Googling—it’s the go-to cure-all for many holistic health insiders. But what, exactly, is it and how does it work? Here, we investigate what all the, um, buzz is about. 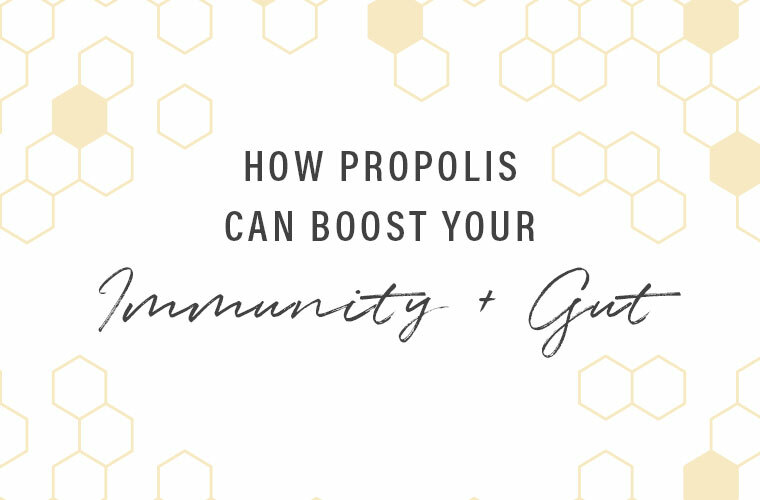 Keep reading to find out how to improve your gut, skin, and immune health with propolis. What is propolis—and why is it called “bee glue”? Anything with a nickname like “bee glue” requires some unpacking. 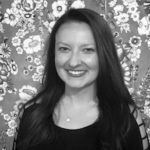 Beekeeper’s Naturals founder Carly Stein, who sells propolis in spray form, explains it like this: “People often confuse propolis and honey, but propolis is sticky, hard, and used as the lining of the hive walls,” she says. Unlike honey, which is sourced from floral nectars, bees source propolis from tree resin and plants. “It’s basically the immune system of the hive. It’s being used as the ultimate protector,” Stein explains. One example: When a mouse invades a hive box—something you might not think about, but it happens all the time—the bees sting it and kill it, but obviously can’t drag its body out. “Bees actually mummify the carcass with propolis and that’s enough to keep the entire environment sterile,” Stein says. It’s a pretty gross visualization—but it does accurately show the strength of the substance. Thankfully, you don’t have to invade a bee hive to get your hands on it—propolis is now being bottled up and sold in spray, liquid, and capsule form. Holistic medical expert and author Ray Sahelian, MD, echoes Stein’s excitement. “Propolis has a number of beneficial substances known as flavonoids and polyphenols, which have strong antioxidant and anti-cancer activities,” says the doctor. It also has antibacterial and antifungal properties, he adds. Basically, it soothes while killing germs, a one-two punch that quickly and effectively knocks out anything attacking your system. Scientific research backs this up. In one double-blind study, children with a severe viral condition were split up into two groups. One was given antibiotics and the other was given antibiotics and propolis. The group given the propolis recovered significantly faster than the other group. Propolis is also popping up in skin products, since it’s said to help soothe burns, while studies point to it as a potential treatment for candida (yeast infections) and cold sores. What’s more, taking propolis is virtually impossible to mess up. It can be used daily or on an as-needed basis, and you don’t have to worry about OD-ing. Just make sure you go with a brand that’s been tested for purity. “The main thing to pay attention to is the sourcing, because you won’t want any pesticide residue to undo all the helpful benefits,” Stein says. Try it next time you’re under the weather—with any luck, you’ll be back to feeling like queen bee in no time. Speaking of immunity boosting, here’s what a nutritionist eats when she starts feeling sick. Plus, learn how essential oils can help clear up your cold.